BY THE NEWS & RECORD – Another healthy eating brand is debuting in the Triad. Vitality Bowls, a cafe specializing in acai bowls and antioxidant-rich drinks, is coming to Greensboro. Franchisees Michael and Therese Lopez have signed an agreement to open a cafe in Greensboro. Site selection is underway and the couple plan to open the cafe later this year. Following this opening, the Lopez’s are planning to open two additional locations in Winston-Salem and Chapel-Hill. Originating in Northern California, Vitality Bowls specializes in açaí bowls that feature a thick blend of the Amazon’s antioxidant-rich berry topped with a variety of ingredients such as graviola, spirulina, hemp sees, pitaya, coconut milk, bananas, strawberries and honey. Fresh juices, soups, panini and salads are also available at each café. The eatery will include a full-service coffee bar, complete with espresso, cold-brew nitrogen-poured coffee, organic kombucha on tap and superfood drinks made from açaí, pitaya and matcha. 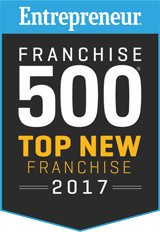 There are currently 49 Vitality Bowls restaurants across the United States with more than 50 franchise units under development. Vitality Bowls joins CoreLife Eatery, another healthier eating option specializing in greens and grain bowls, which is also opening soon in Greensboro. By San Marcos Corridor News – Local residents, professionals and students no longer need to struggle with eating healthy when out and about. 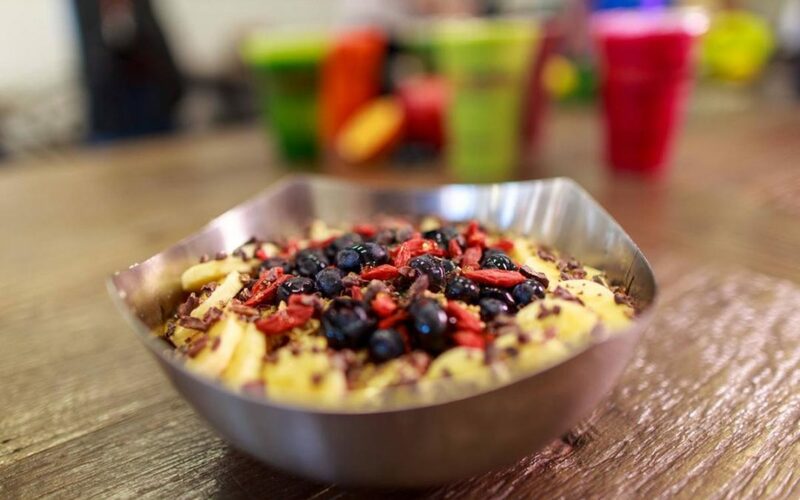 Vitality Bowls, which specializes in açaí bowls – a thick blend of the Amazon’s antioxidant-rich açaí berry, topped with a variety of superfoods – announced today the opening of its café in San Marcos. The new franchise location will be the first for Ashley Wright, who plans to open an additional café in the San Antonio area. Slated to open on June 7, the new restaurant will be located at 210 North Edward Gary Street, Unit 112, in The Local San Marcos near Texas State University. This restaurant will be the sixth Vitality Bowls café in Texas, joining the more than 50 locations based nationwide. 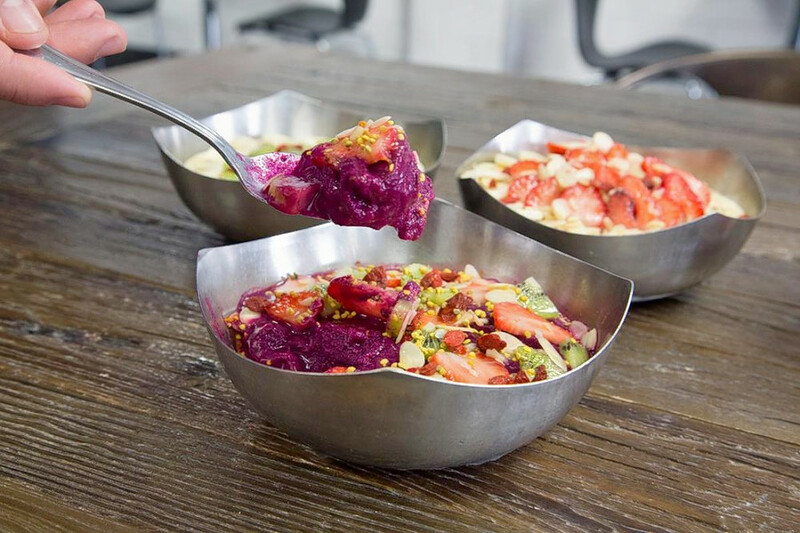 Originating in Northern California, Vitality Bowls has solidified itself as America’s superfood café – combining a dynamic café vibe with a unique collection of menu items containing high nutritional values and extraordinary tastes. Vitality Bowls offers an antioxidant-rich menu, with breakfast, lunch and dinner items made to order for each customer. All açaí bowls and smoothies do not contain ingredient fillers such as ice, frozen yogurt, added sugar or artificial preservatives, giving the purest taste possible. Guests can choose from a variety of delectable options, such as the Green Bowl (with organic graviola, spirulina and hemp seeds), the Dragon Bowl (featuring organic pitaya, coconut milk and bananas) and their signature Vitality Bowl (with organic açaí, strawberries and honey). Plus, fresh juices, smoothies, soups, panini and salads are available in each café. Guests can also enjoy organic cold brew nitrogen-poured coffee and organic kombucha on-tap. Vitality Bowls, since franchising, began in 2014, the brand has seen significant growth with more than 100 cafes open and in development. BY ATLANTA JOURNAL-CONSTITUTION – A new location of Vitality Bowls is coming to Perimeter Place in Dunwoody. BY PALO ALTO WEEKLY – A new açaí bowl shop is now open at 650 Castro St. in downtown Mountain View. This newest location is being run by Angelo Camacho, the 18-year-old nephew of Vitality Bowls founder Tara Gilad. Gilad opened the first Vitality Bowls in San Ramon in 2011 after coping with the challenges presented by her young daughter’s severe food allergies. Growing up “surrounded by healthy foods and successful entrepreneurs,” including his aunt, Camacho dreamed of opening his own business, the recent high school graduate said in a press release. Camacho opened the Mountain View outpost on May 10, marking the company’s 50th location. There are nearby outposts in Palo Alto and Redwood City.